Class does make a difference in the lives and futures of American children. Drawing on in-depth observations of black and white middle-class, working-class, and poor families, Unequal Childhoods explores this fact, offering a picture of childhood today. Here are the frenetic families managing their children's hectic schedules of "leisure" activities; and here are families with plenty of time but little economic security. Lareau shows how middle-class parents, whether black or white, engage in a process of "concerted cultivation" designed to draw out children's talents and skills, while working-class and poor families rely on "the accomplishment of natural growth," in which a child's development unfolds spontaneously—as long as basic comfort, food, and shelter are provided. Each of these approaches to childrearing brings its own benefits and its own drawbacks. In identifying and analyzing differences between the two, Lareau demonstrates the power, and limits, of social class in shaping the lives of America's children. The first edition of Unequal Childhoods was an instant classic, portraying in riveting detail the unexpected ways in which social class influences parenting in white and African American families. A decade later, Annette Lareau has revisited the same families and interviewed the original subjects to examine the impact of social class in the transition to adulthood. Annette Lareau is the Stanley I. Sheerr Professor at the University of Pennsylvania. She is faculty member in the Department of Sociology with a secondary appointment in the Graduate School of Education. Lareau is the author of Home Advantage: Social Class and Parental Intervention in Elementary Education (1989; second edition, 2000), and coeditor of Social Class: How Does it Work? (2009); and Education Research on Trial: Policy Reform and the Call for Scientific Rigor (2009); and Journeys through Ethnography: Realistic Accounts of Fieldwork(1996). Note to the reader: The second edition of Unequal Childhoods (2011) shows the continuing influence of social class in the transition to adulthood of the youth featured in the study and presents national data to show that the effect of class differences on children’s participation in organized activities can be seen in a large representative sample. It also describes the reaction of the families studied to the book after its publication. Still, there were space constraints on the amount of information that could be presented about the youth and their families. While the second edition of the book contains the key information, additional details about each of the youth are presented here. Citation information: Lareau, Annette. 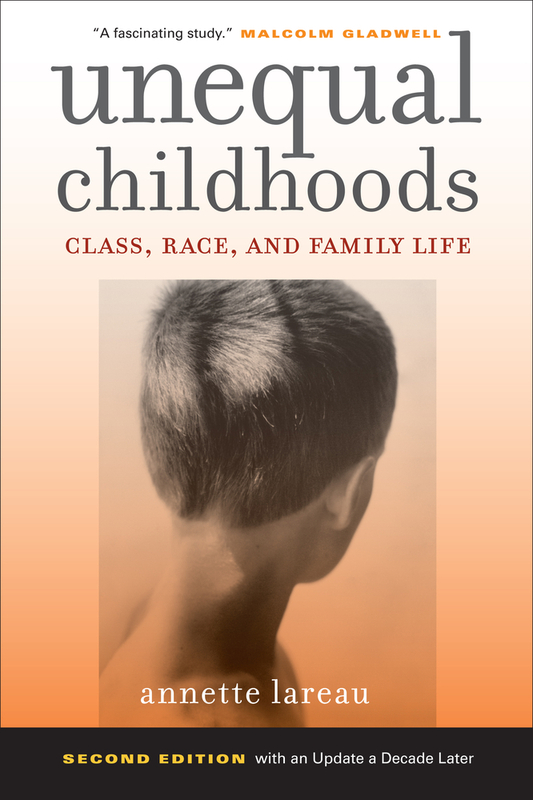 Unequal Childhoods: Class, Race, and Family Life, Second Edition with an Update a Decade Later, University of California Press on-line supplement.